Nurses, doctors and other medical professionals spend every day saving lives and helping people recover from illness and injury. In some cases, however, these medical professionals also face risk themselves and can be injured on the job in accidents or as the result of employer negligence. In these cases, nurses and medical professionals may be entitled to workers’ compensation benefits and third-party liability benefits. 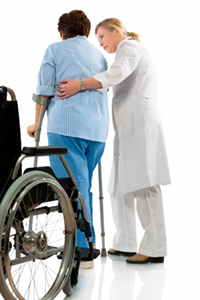 At the law firm of Pulgini & Norton, LLP, our experienced Boston attorneys provide representation for nurses and medical professionals injured on the job. For more than 40 years, we have handled workers’ compensation and personal injury claims in the Greater Boston area and throughout Massachusetts. We want to help clients recover the benefits they need to pay for medical bills and lost wages until they are ready to return to work. Contact us to talk with an experienced workers’ compensation lawyer. Call us toll free at 781-843-2200 to schedule an initial consultation. There is no need to prove fault in a workers’ comp accident. However, if a hospital or other party was negligent, and that negligence contributed to your injuries, it may be possible to file a third-party liability claim to recover additional compensation. After an injury on the job, contact us to schedule an appointment for an initial consultation and learn more about accidents to nurses and medical professionals in Massachusetts. You may e-mail our firm here or call one of our three offices in Braintree, Hyde Park or downtown Boston toll free at 781-843-2200.